Seven years after the debut album (Vertus Guerrieres) on NYKTA, Athros returns with 3 long duration tracks in a limited MCD. After his contribution in acts like Ur Falc’h and Forteresse, it’s time to awake the NORDMEN beast again. 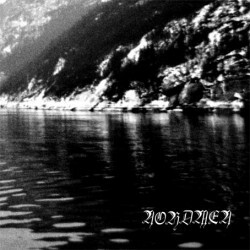 Raging Heathen Black Metal dedicated to the cold winters and howling northwinds. Balancing magic folk melodies with Pure Black Wrath, this MCD is definitely worth checking.